LAS VEGAS — Nearly two years after it started, Canada’s win streak at the world men’s and women’s curling championships came to an end Saturday night at Orleans Arena. 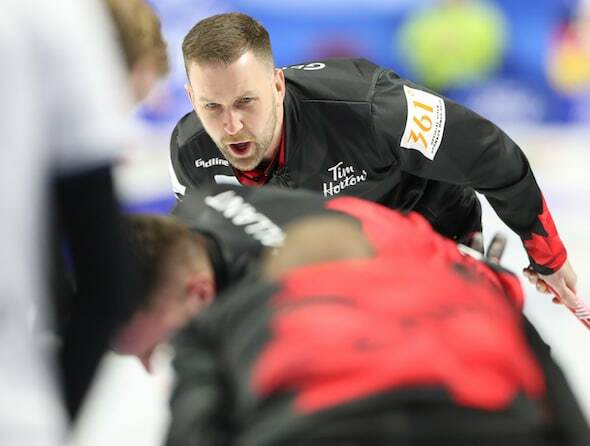 Reigning world champion Brad Gushue and his St. John’s team surrendered a 10th-end deuce to lose 8-7 to Scotland’s Bruce Mouat, snapping a 45-win streak put together by Kevin Koe (four wins en route to the 2016 world men’s title), Rachel Homan (13-0 at the 2017 world women’s championship, Jennifer Jones (14-0 at the 2018 Ford World Women’s Championship) and Gushue (13-0 at the 2017 Ford World Men’s Championship and a win earlier Saturday to open the 2018 361° World Men’s Curling Championship, presented by Ford of Canada). Suffice it to say, Gushue, backed up by vice-skip Mark Nichols, second Brett Gallant, lead Geoff Walker, alternate Tom Sallows, team coach Jules Owchar and national coach Rick Lang, was disappointed with the results of opening day in Las Vegas. 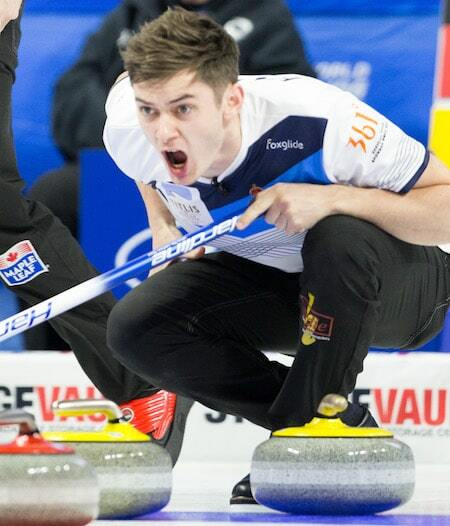 Struggles with the ice were compounded by Canada’s time-clock issues in the late stages, in addition to some superb performances from the young Scots, who won the Grand Slam Boost National earlier this season. 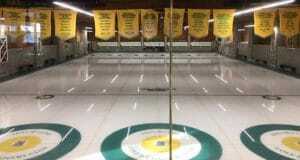 Canada opened the game with deuces in the first and third ends, sandwiched around a Scottish deuce in the second end. The Scots (1-0) were held to a single in the fourth, giving Canada hammer and a single-point lead going to the fifth. But much like the win over Russia earlier in the day, the momentum started shifting away from Team Gushue in the middle ends. 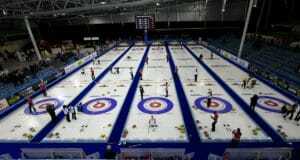 The teams traded singles the next two ends before Scotland took its first lead of the game, stealing two in the seventh after Gushue’s hit for a single rolled too far. Canada was again forced to take a single in the eighth, but in the ninth, it was a rare miss from Mouat on a hit — a cross-house double-takeout for a potential pair. Instead, Mouat was wide with his delivery, and it gift-wrapped a stolen single and a 7-6 lead going to the final end. 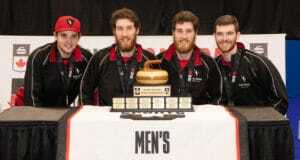 But Canada couldn’t close it out, and when Gushue’s last-rock slash takeout attempt jammed to leave Scotland sitting shot, Mouat was able to make the open draw for the second point and the victory. Sunday, Canada is in action just once — a 9:30 p.m. ET battle with Switzerland’s Marc Pfister (0-1).